Robin Deacon “The Argument against the Body” at Samtalekøkkenet Warehouse 9 Copenhagen February 2011. 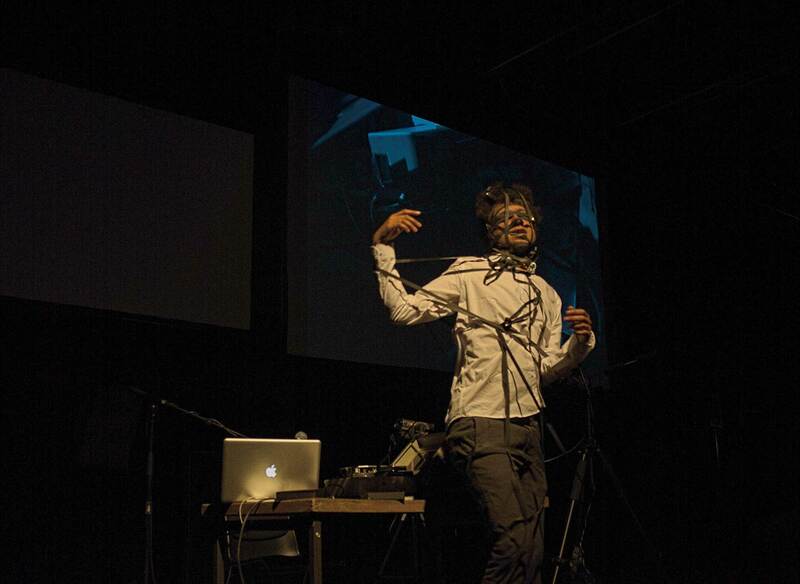 At Hitparaden 2 he performed “WHITE BALANCE: A HISTORY OF VIDEO”, which is a performance by artist, writer and filmmaker Robin Deacon. The title White Balance refers to the process by which a camera is adjusted to account for differences in light, changing the relative strengths of colors to reach a truer sense of what is being seen. 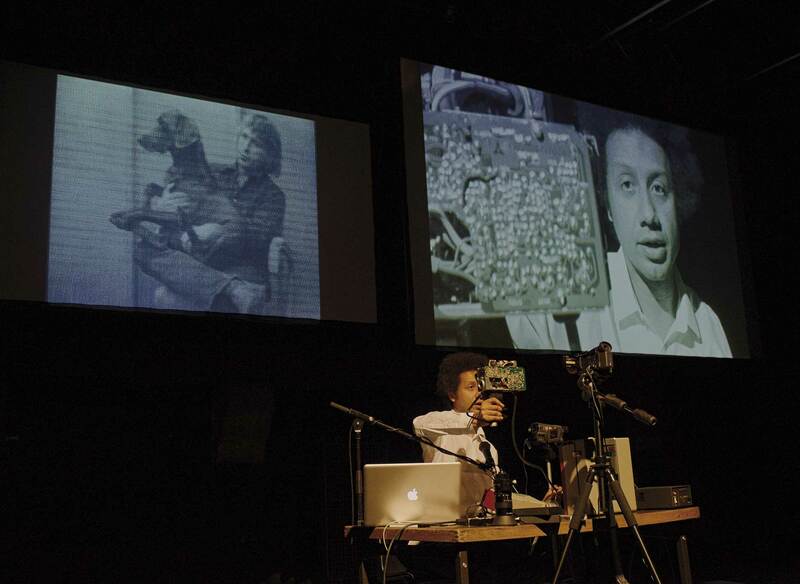 From the evolution of the video camera to meditations on discarded and forgotten videotape formats, the performance uses a series of outmoded vintage video cameras to explore how our ways of seeing and ways of remembering may be transformed by the medium used to capture the event. This is part of a continuing series of works that create fictional narratives and explore their potential relationship with real life and autobiographical experience. Robin Deacon (born 1973 UK) is an artist, writer, film-maker and educator currently based in the USA. Since the early 1990’s, his work has been presented at conferences and festivals internationally in Europe, USA and Asia. 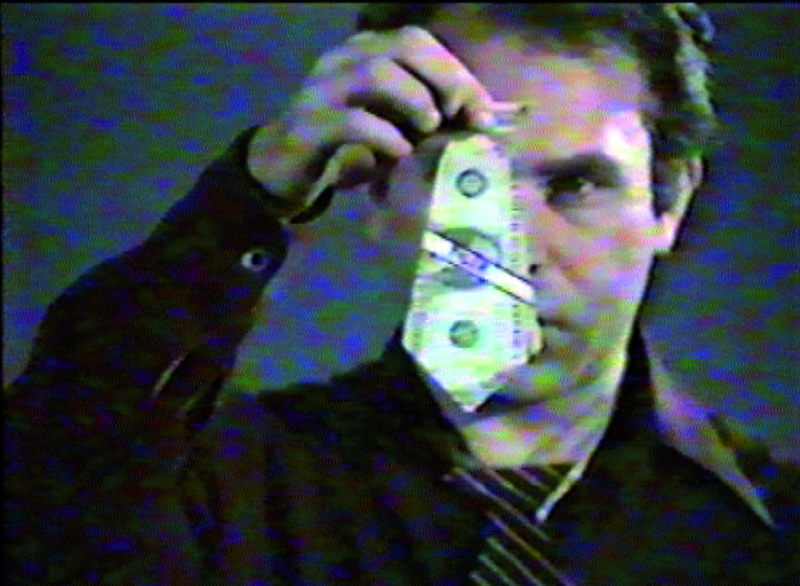 His interdisciplinary practice spans a variety of themes, including explorations of performer presence and absence, the role of the artist as biographer, and journalistic approaches to arts practice. Recently he has shifted into the area of documentary film with a series of interrogations of the ethics of performance re-enactment. His work has been presented in venues and galleries such as Tate Britain, London (2014), The Whitney Museum, New York (2013), The Bluecoat, Liverpool (2010), Hebel Am Ufer, Berlin (2008), Tanzquartier Wein, Vienna (2007), and The Centre for Contemporary Culture, Barcelona (2006). He is a Professor in Performance at The School of the Art Institute of Chicago, USA. Robin Deacon (born 1973 Eastbourne, England) is an artist, writer, film-maker and educator currently based in the USA. Working since the early 1990’s, his performances and videos have been presented at conferences and festivals in the UK and internationally in Europe and the USA. His interdisciplinary practice has spanned a variety of disciplines and themes, including explorations of performer presence and absence, the role of the artist as biographer, and the possibility for journalistic and documentary approaches to arts practice. Most recently his practice has shifted into the area of documentary film with a series of works that aim to interrogate the mapping and ethics of performance re-enactment. At Hitparaden 2 he also screened “SPECTACLE: A PORTRAIT OF STUART SHERMAN” at the cinema i Palads. Richard Foreman plays a big part in the film.